Typically, 17-year-old Ali Barritt would spend her Saturday night doing homework and listening to podcasts. 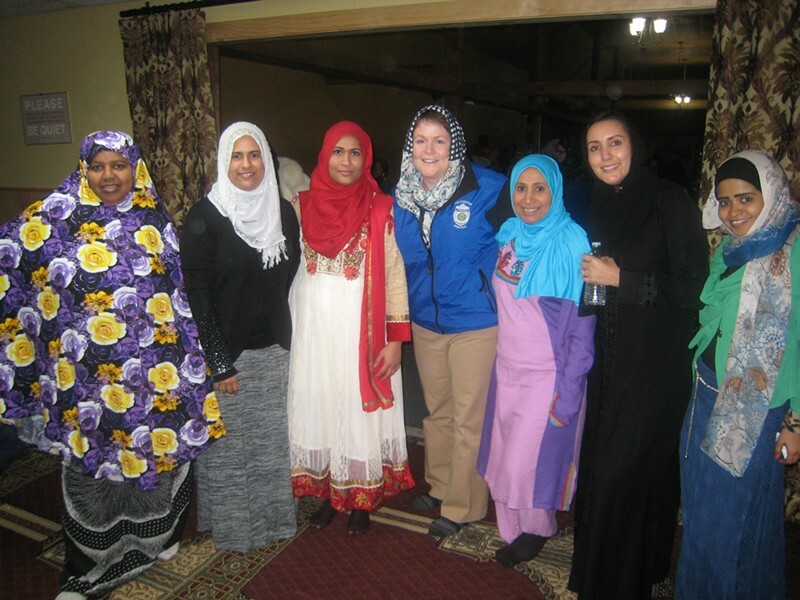 But last week, Ali, along with a couple of her friends from South Burlington High School, attended a community dinner at the Islamic Society of Vermont in Colchester. 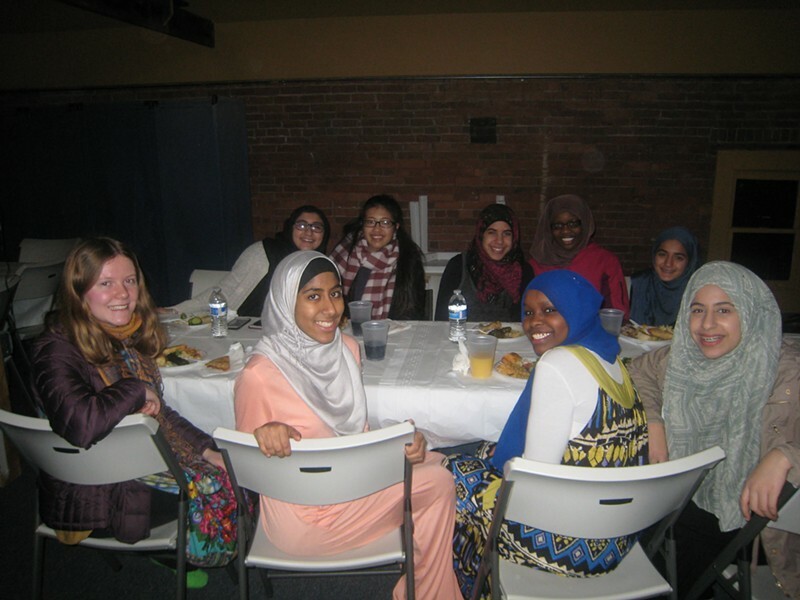 A family friend had told Ali about the ISVT's monthly dinner, and the high school junior thought it provided a good opportunity for her to learn more about Islamic culture, as well as to "show support for the Muslim community after Donald Trump." Ali remembered that her grandmother's helper, a Muslim woman, had dietary restrictions. So, when she made flyers to publicize the event at her school, Ali also included information on markets that sell halal meat. 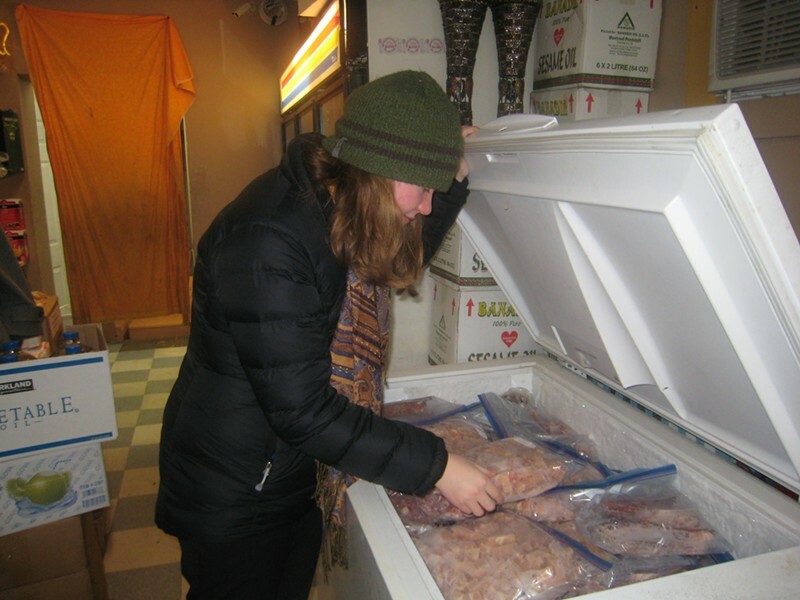 Hours before the dinner, she went to the Community Halal Store in the Old North End in Burlington to buy 1.5 pounds of chicken so she could make crêpes. Jennifer Morrison, chief of the Colchester Police Department, and members of the public from Montpelier, East Montpelier, Calais, Plainfield and Marshfield were also among those who attended last week's dinner. "Some of us felt shy about entering, but the warmth and open arms with which we were welcomed put an immediate end to our hesitancy," said Debra Stoleroff. Morrison said it was a "tremendous honor" to be invited, and that it also "helps us, from a safety perspective, to let them know that we're approachable, for them to know who to reach out to." While there have been incidents of anti-Muslim backlash across the country following the terrorist attacks in Paris and San Bernardino, Calif., Morrison said that the ISVT hasn't experienced any hate crime or any reportable incident. Nevertheless, the police chief is keen to foster closer working relations with the mosque. "I believe the police being integrated into the community is going to be so much more effective than waiting until something happens," Morrison said. "Our mosque is open at all times for people to come and ask questions," said Nicole Kennedy-Bchini from Burlington. 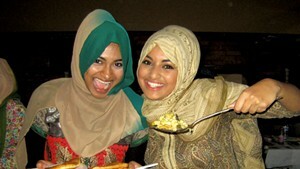 It isn't uncommon for non-Muslims to join the community dinners, which are usually held on the last Saturday of the month. Having conversations over food and making friendships over dinner, she added, is an age-old tradition in many faiths. Besides, "Good food is good food. It doesn't matter what your religion is," Kennedy-Bchini noted. Ali raved about the variety of food — from Indian to Somali to Turkish — at the end of the night. "I am certain that I will return," she said. She added that she's going to return during Ramadan because that's when she can expect to taste food from different ethnic groups each week. "It's one thing to learn about the religion in social studies, hear about Ramadan and other Muslim holidays on the news, and even be friends with Muslims, but it's completely different to be submerged in the community."